Okay, here it is the dreaded second post in one day!! 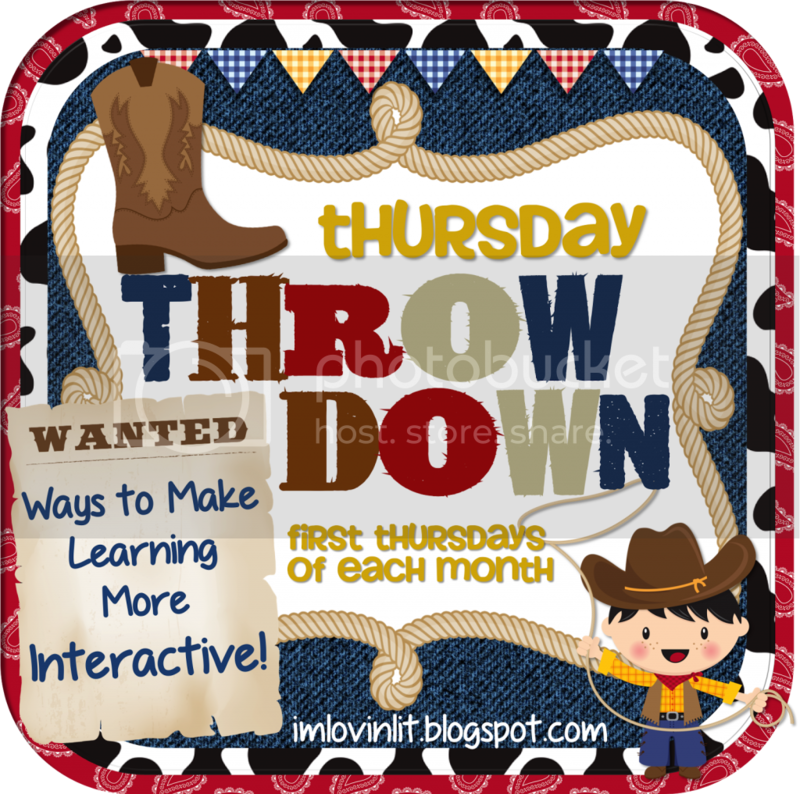 But I had to because I really wanted to link up with Erin at I'm Lovin Lit for her Thursday Throw Down linky. If you have not been to Erin's blog she has tons of great ideas on interactive notebooks and she shares what she knows in a way that makes me believe I can do it!! What I want to share with you today is my plan for making student to student feedback a little more interactive this year. If you have been reading my blog for a while you know that I spent a lot of time in the last few years in PD on inquiry based math lessons. 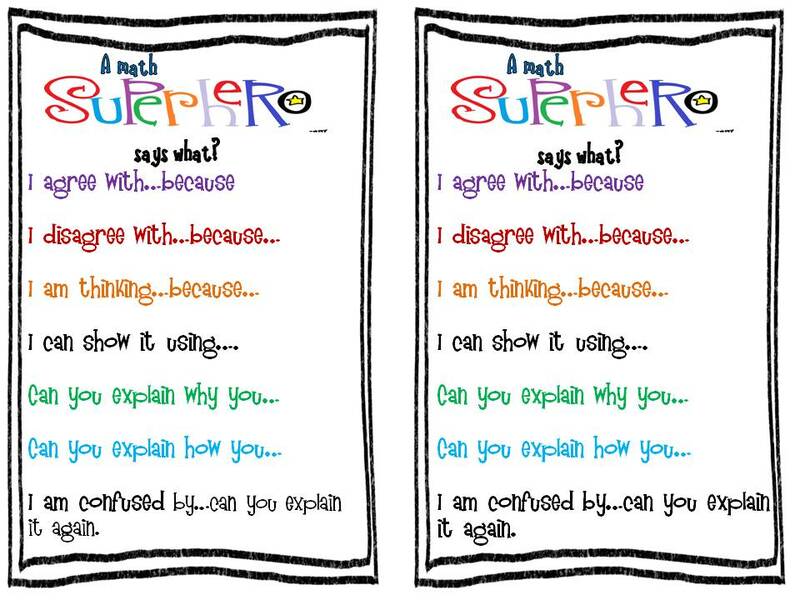 When I first started with a grade 2/3 class a big area of focus was to get the students talking about their thinking with each other, with the gazillion of adults in the room and then to the whole group. 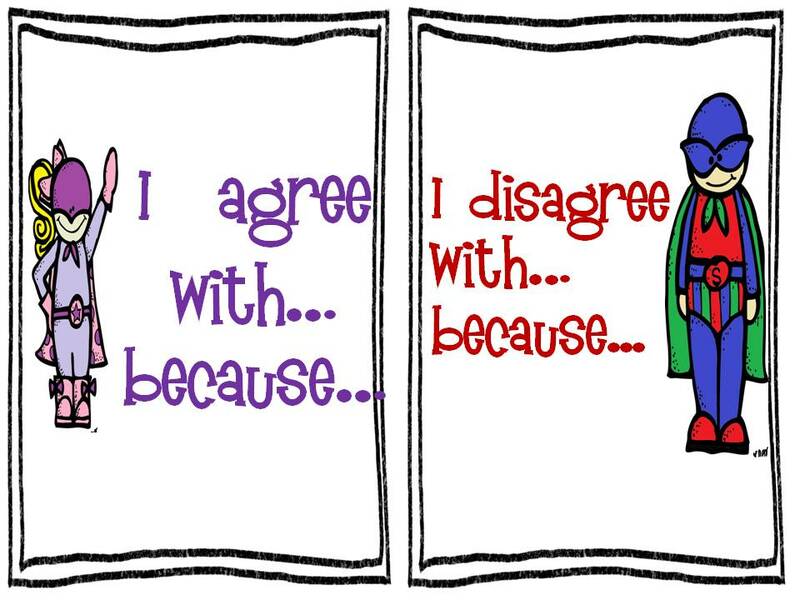 I needed to get them comfortable with agreeing and disagreeing and proving and disproving....so we worked on this and I made these little posters/student sheets to help us out. This year I want to take it further and make them a little more independent with the feedback/interacting with each other. Previously I have done a ton of modelling, guiding and prompting - now I want to turn it over to them. Here is my plan. Sticky notes. No, no, not just sticky notes - sticky notes with a plan. At the beginning of the year students after we have worked on a math problem for close to a period students will do a gallery walk. They will all have sticky notes. They will give feedback to the other students (not all of them - I will give them a group or two that they have to do) by writing their thoughts and name on the sticky note. Still not rocket science I know! Here is when it becomes a little more interactive. Students will return to their work and sort the sticky notes into categories - helpful feedback and not helpful feedback. If the feedback is helpful they are going to implement it (ex. I think you should add a title to your graph, I think you should check your adding). If the feedback is not helpful it will be handed back to the person (nice coloring, very neat, good work). 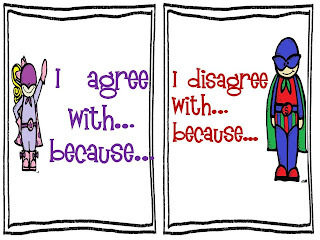 We will spend sometime discussing what makes some feedback helpful and other feedback not helpful. After students have worked on using the feedback, students that provided not helpful feedback will go back and try again. I hope that through this process my students will become better at providing meaningful feedback to each other, that they will recognize useful versus non-useful feedback (not useless - that seems harsh). 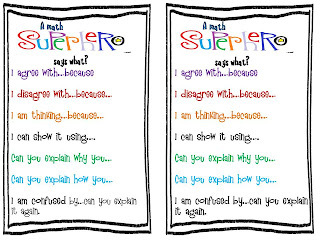 I also hope to take a step back (not right away of course - after a few tries, I will gradually release responsibility to the students) in the process of having students interact and talk about their thinking and their work. If you do not print on sticky notes - what are you waiting for?? 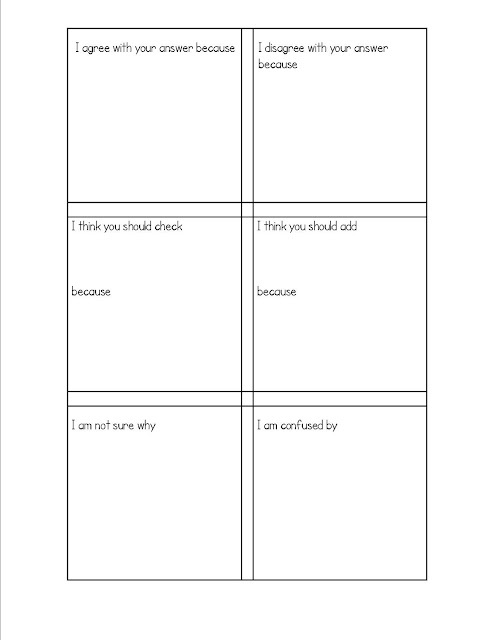 It is a great way to guide student thinking and have them write quick answers to expand on later or to print checklists on for students. If you don't have a sticky note template you can get one here from Ladybug's Teacher Files and read how she uses them. She also gives a link to Writing Fix that has templates for writing checklists to print on sticky notes. Also if you did not see my first post this morning be sure to head over to Jivey's Facebook page to enter today's giveaway. You can win a copy of my writing goals chart with editable pages!! What great ideas! I think it is very helpful for peers to give feedback. Sometimes they pay more attention to it then to what we say. Thanks so much Anne Marie! I just pinned this so that I can come back next week when I'm ready to print on sticky notes. I'm going to do something with that and my summer reading novel lessons during the first week of school. Thanks for linking up! I've never printed on sticky notes...I need to do this! Thanks for the tip! I have always wondered why people printed on sticky notes, seemed pointless to me. This make sense!! Will have to figure out how I can implement it into literacy and social studies. I love that idea! Students always get excited when they can helpfully critique each other...it also shows that they know what they are talking about! I love your system for giving and evaluating feedback! It makes both students in the partnership responsible. I'm goig too look for opportunities to use this idea.